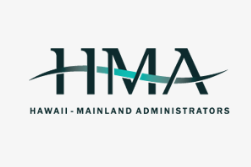 Hawaii Mainland Administrators (HMA) and Global Healthcare Resources have announced a new partnership that promises to disrupt the medical tourism industry. Starting in 2019, HMA will start offering medical tourism to all its self-funded employers making it available to thousands of Americans. This new medical tourism offering will be launched under Provider Network International (PNI), the first global medical travel network to be launched by a U.S.-based TPA or insurance company. The new benefit offering for self-funded employers will allow employees and plan members to receive access to the top centers of excellence globally. Bundled rates apply to covered members who will receive incentives such as covered travel expenses, waiver of deductibles, coinsurance and out of pocket expenses. As part of this process GHR will be collaborating with Global Healthcare Accreditation in the selection and standards for the network. Only facilities with a proven track record in medical travel that demonstrate consistent levels of medical travel service, quality, and outcomes will be selected. Discussions are under way with other TPAs to join an alliance in offering the PNI network and the acquisition of other TPAs is being considered across the country, which will provide more leverage and buying power in accessing medical travel. HMA will be conducting roadshows around the country in partnership with Global Healthcare Resources to educate its broker and employer network of the new offering.